At RJE, we aim to make every nook and cranny in a space work to benefit the needs of our clients’ employees and guests. Every so often we have to take a step back and apply that same mindset to our own showrooms. 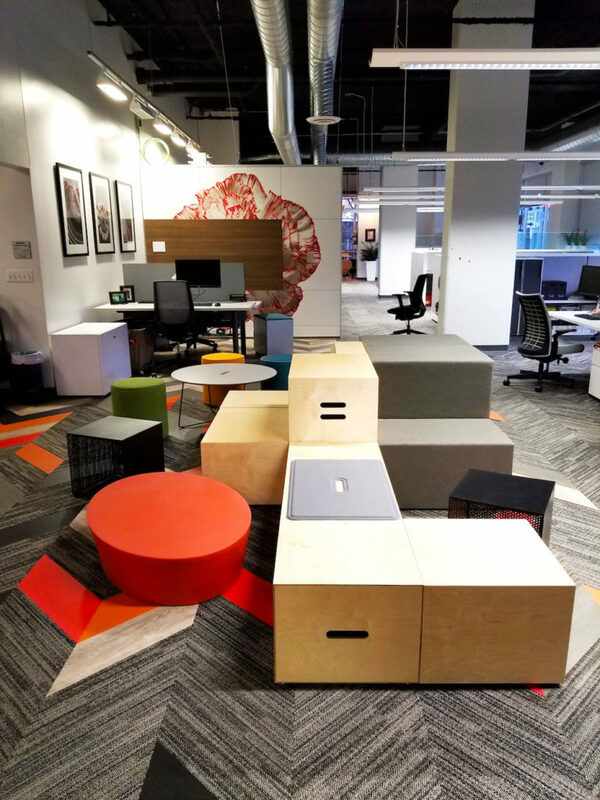 Most recently, our Cincinnati team embarked on a showroom refresh so that our team members could make better use of their space and showcase the latest and greatest in workplace solutions. We spoke with RJE Cincy’s Design Director Sarah Brunner to get the scoop on what changes were made and how it has benefited the team. What was the primary goal for the Cincinnati showroom renovation? We had two main goals when tackling this renovation. Our last showroom update was almost three years ago, so we wanted to integrate some of the great new products and solutions that are now available and showcase new ideas for application. Essentially, we wanted to provide our customers with physical inspiration of how they can use our solutions in their space. Secondly, we were running out of space for our team members! We evaluated our environment for future growth and made sure that these fresh new areas would accommodate our team comfortably. How did the planning process work for the team? We had been brainstorming ideas since the beginning of 2017, but none of the plans ever felt exactly right. It often felt like we were achieving 80% of our overall goals, but a few spaces were still missing the mark. Our visit to the new RJE Louisville showroom is what really turned the tide for our project. Being able to see the various solutions and areas in their new space put some life back into our own plans and the project really took off from there. 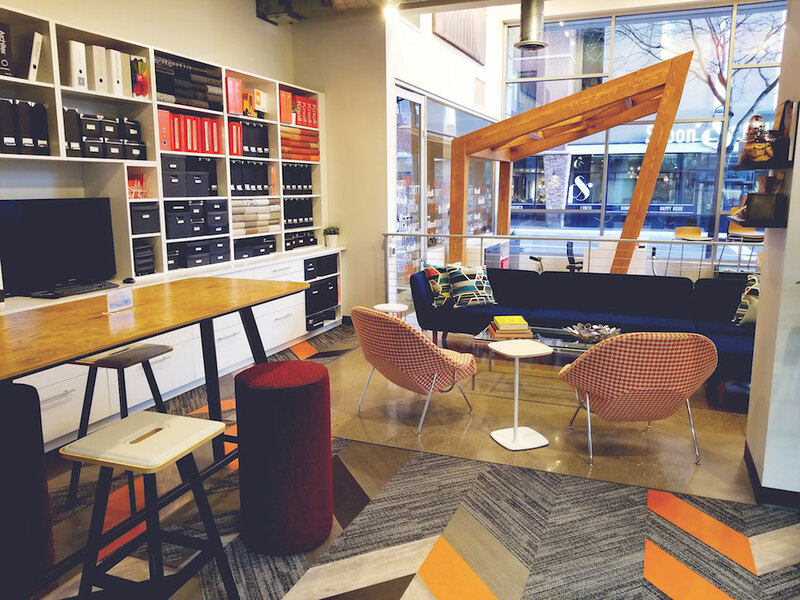 This process was also really exciting because it was the first time that the Cincy DIRTT and furniture teams fully collaborated on a showroom renovation together. That collaboration resulted in a space that feels truly seamless. How did you plan to make the most of the available space? Before diving in, we took a step back and really evaluated how we were using our current space and what would make it more impactful for our employees. For example, we previously had one large enclosed conference room that was typically only used for meetings with one to four people. We felt this was a massive waste of the existing square footage, so we decided to tear out a wall and open the space up to the open office environment. 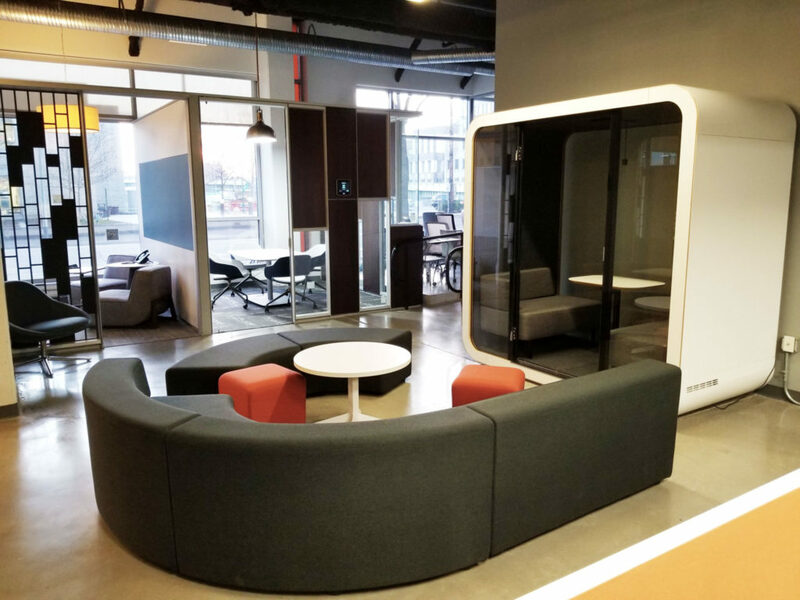 After doing so, we moved the DIRTT team into the old conference room and utilized DIRTT to create two smaller huddle rooms in that existing space. What areas are you most excited about now that the project has completed? I’m most excited about two spaces. The first is our new lobby and reception area. 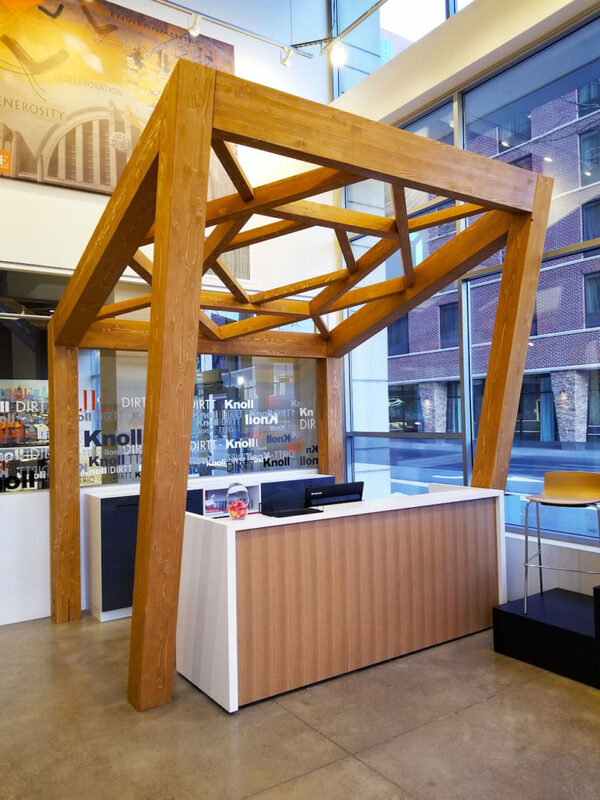 We used DIRTT’s Timber Frame solution to create a statement that you see right when you walk in the door. When paired with the Knoll Reff reception desk, the entire area ties seamlessly into our nearby library. We redid the lounge seating in the library and the finishes are to die for – it really creates a warm and inviting atmosphere. The second area that we are most excited about is the reworked conference room I mentioned earlier. 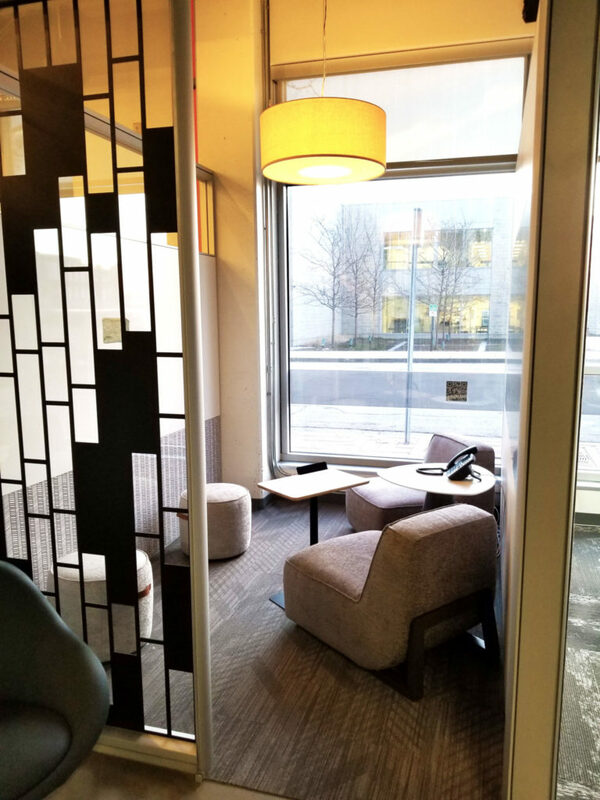 We have always struggled with how to best utilize that section of the showroom, so it was a real gamble for us to completely gut the area and reimagine it with the DIRTT solution. I was terrified when construction started! Luckily, the renovation has changed the entire space for the better and people are now using the new huddle rooms to their full potential daily! Want to see the Cincinnati showroom’s new look in person? Schedule a showroom tour by calling 513-641-3700.